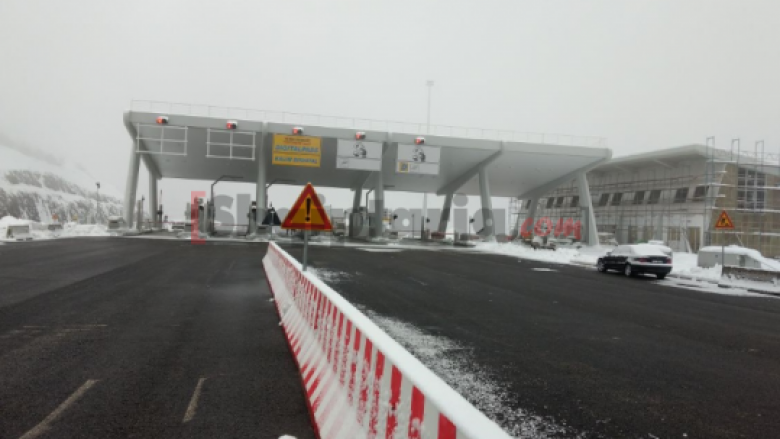 Nicola Spadavecchia, the administrator of Albanian Highway Concession shpk, was sentenced to six years in jail by the Court of Avelino, Italy. On January 11, 2018, Spadavecchia was found guilty on “abuse of power” charges for not carrying out the necessary checks and maintenance of the Acqualonga bridge, near Monteforte Irpino along the Napels–Canosa highway, which was an instrumental factor in a fatal accident where 40 pilgrims lost their lives in 2013. The breaks of the bus stop functioning and the lack of maintenance of barriers caused the bus falling off the bridge. 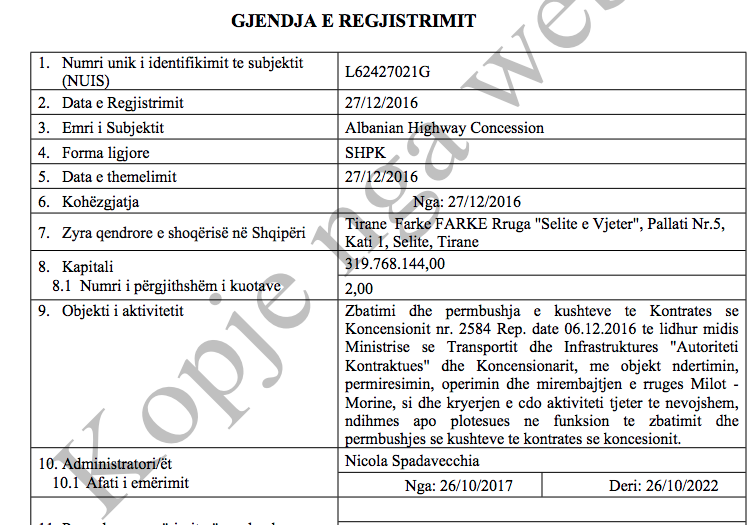 At the end of October 2017, Spadavecchia was appointed sole administrator of Albanian Highway Concession shpk, which was made up of Kastrati and Salillari companies, despite being 67 years old, retired and under investigation related to the tragic accident. As of the day the writing of this article, Spadavecchia is still the administrator of the concession, his term ending in 2022. In April 2018, Exit denounced the fact that Spadavecchia was under investigation for the death of 40 persons, and accused the concession for lack of responsibility in nominating him as administrator. Following Exit’s article, Kastrati Group’s general Director sent a letter to the editors where they laid out their objections related to the investigation. The letter was published in full and it corroborated all facts we had previously published, as it was clear in our response to Kastrati Group. On July 28, 2013 the breaks of a bus carrying 49 pilgrims returning from their pilgrimage stopped functioning and the vehicle plunged into a gorge, taking with it 14 traffic barriers, also known as Jersey barriers (similar to the ones used in the Tirana–Durrës highway), which, according to judicial expertise, had not been maintained and controlled properly, and, as a result, did not manage to keep the bus from falling off the bridge. 40 people died in the accident that shocked the whole country. The Italian National Anti-Corruption Authority investigation that followed, led by anti-corruption magistrate Raffaele Cantone came to the conclusion that an important 2009 tender for the construction of roadside traffic barriers in the segment at hand, which was managed by Spadavecchia, did not include the replacement of old barriers. They weren’t even inspected, even though they had been corroded where they were attached to the asphalt road. The main cause of the tragic accident was the defective bus, whose commissioning papers were falsified. At the moment of the tragedy, the vehicle’s transmission system had faltered, and its brakes weren’t able to halt its velocity. Yet, the fact that the traffic barriers weren’t able to stop the bus from tumbling off the bridge – they became detached and fell with the bus as they were entirely corroded – was deemed by the court to have had a crucial role in the tragedy. As a result, the court found the administrator Spadavecchia guilty and sentenced him to six years in jail.